I'm not much of a risk taker," says Anil Bamboli, adding quickly: "That way my profile fits in well." That is not too surprising for someone who has been adjudged the best fund manager (debt) in the BT-Value Research Best Mutual Funds study. But what does surprise is that this 40-year-old senior fund manager at HDFC Asset Management Company Ltd actually started off in the much riskier world of equity. "I was initially more inclined towards the capital market," says Bamboli. Sitting comfortably at the company's third floor South Mumbai headquarters, where parent HDFC Ltd is also housed, Bamboli rewinds to 1994 when he joined SBI Funds Management Ltd.
"I was picked up in a campus interview," says this chartered financial analyst who studied commerce at Mumbai's Sydenham College, which also counts among its alumni the likes of Deepak Parekh, Uday Kotak, Kumar Mangalam Birla and Rakesh Jhunjhunwala. The turning point for Bamboli came when he was sent on deputation to SBI's treasury desk in 1998. He got an opportunity to learn and sharpen his skills in debt management because the equity market was down in the dumps those days after the Harshad Mehta scam. Bamboli returned to SBI Funds Management in 2002, but he was already sold on debt. So, a year later, when HDFC Mutual Fund offered him a job on the debt fund management side, he took it up. "I got two debt schemes initially," says Bamboli, who now manages close to a dozen debt schemes. Bamboli, whose hobbies have also shifted over the years from following cricket to watching tennis, hockey and football, is now neck deep in understanding the debt market. Last year, he got a gold exchange traded fund and a gold fund-of-funds to manage. Even now, he believes having an equity perspective helps in managing a debt fund, as "they all are interlinked". In fact, one of the top performing schemes managed by Bamboli - HDFC Multiple Yield Fund - has 15 to 25 per cent allocation in equity, though the equity portion is managed by other fund managers. "High yielding equity always contributes to better returns in a scheme," he admits. Another scheme - HDFC Short Term Plan - has outperformed the benchmark CRISIL Liquid Fund Index. In a three-year period, HDFC has returned 7.46 per cent against CRISIL's 6.43 per cent. Bamboli is closely following the interest rate environment to reward his investors. Like equity, the debt market has also been volatile in the past three years. "I expect a marginal policy rate cut in April this year," he says. There is a word of caution, though, as inflation is still a big worry. "We have to see the actual fiscal deficit numbers in the Budget," he says. A softer interest rate regime does not look likely unless the fiscal situation improves. So, what about the interest of retail investors in debt schemes? "That is gradually increasing, but we should have more. 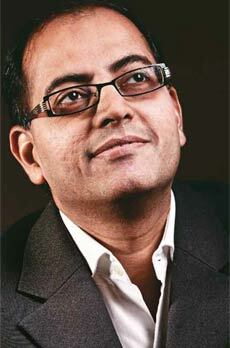 Debt funds should become part of the asset allocation of people," Bamboli says. In fact, today, any financial advisor will suggest investors participate in equity, but when it comes to debt, fixed deposits or PPF are always recommended. "That should change," he says. Bamboli's suggestion to investors: buy short-term plans if you have a less than one year investment horizon, and income and Gilt funds for an investment horizon of one to two years. That, coming from India's best debt fund manager, is sound advice. *The April 1, 2012 edition of BT incorrectly stated that Mahendra Jajoo worked with BNP Paribas MF and Ninad Deshpande with Franklin Templeton MF. Jajoo works with Pramerica Mutual Fund and Deshpande with Axis MF.